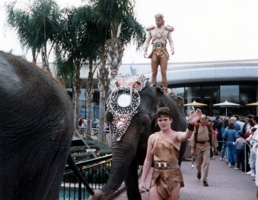 Photo Memories: Walt Disney World's 15th Anniversary – Epcot Center's Daredevil Circus Spectacular! 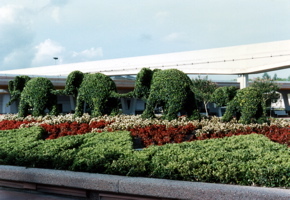 It all started last week when a good friend of mine asked me the following question: “Jeff, did you ever hear of elephants performing at Epcot Center? 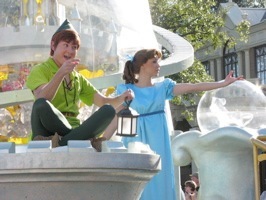 A friend of mine told me about it, but I don’t remember anything like that in over 30 years of visiting Walt Disney World and couldn’t imagine it was true”. 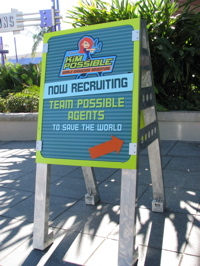 I instantly knew they were thinking of “Epcot Center’s Daredevil Circus Spectacular“. 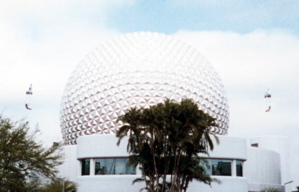 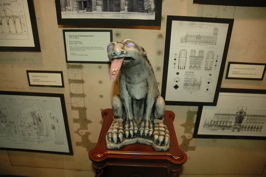 Keep reading after the photos for a full description of this amazing part of Epcot Center history! 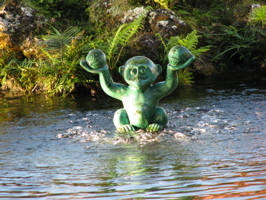 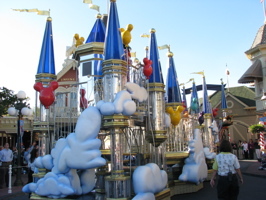 (below) A rare photo of the Fountain Stage being readied for the upcoming show. 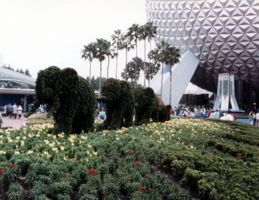 (Below) The entrance topiary featuring the parade of Pachyderms. 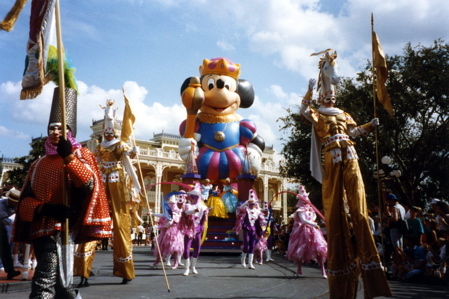 (Below left) A parade of Elephant-like “Martian Mastodons” approach the fountain stage. 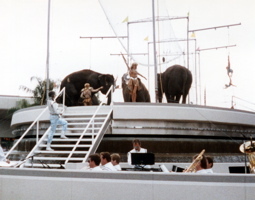 (below right) A live band plays along as the Elephants and acrobats perform “spine-tingling” acts. 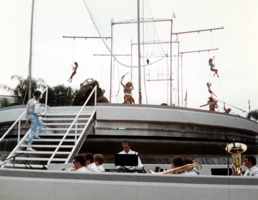 (Below left) Communicore is transformed into a “Spacearena” as a double-trapeze act is performed. 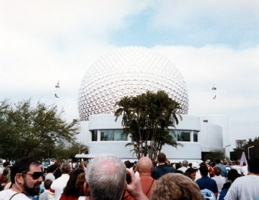 (Below right) The most amazing part of all this to me was the “Space Cycles” riding along wires connected from both Communicores to the center of Spaceship Earth! 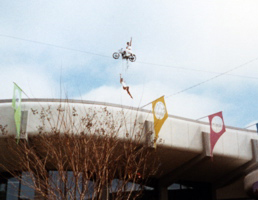 (Below) It was the most incredible thing to see motorcycles driving high in the air on thin-looking wires. 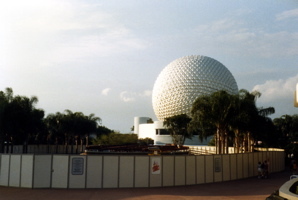 I remember thinking that they actually touched Spaceship Earth (although they probably did not). 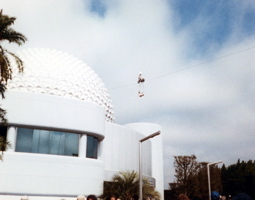 (Below) My last photo showing both “Space Cycles” (with girls hanging below them) speeding high above Future World towards Spaceship Earth! 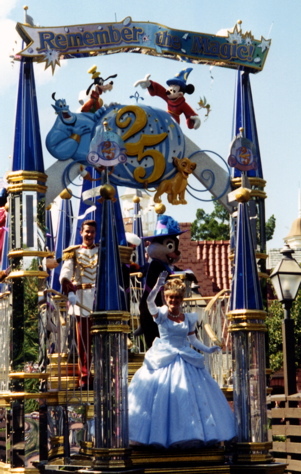 Back in the fall of 1996, Walt Disney World was beginning it’s 15th Anniversary Celebration and held a big kickoff press event. 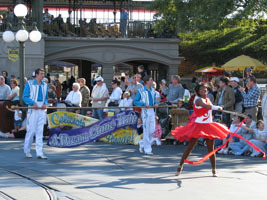 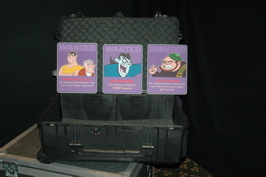 The press kit (below left) touted all the special events planned for the upcoming year including: The Bicentennial of the U.S. Constitution featuring The Magic Kingdom’s “Star-Spangled Salute” and “All American Parade“, the 15th Anniversary Gift-Giver (where you could win a new Chevrolet on “Birthday Bonanza Weekends“) and more! 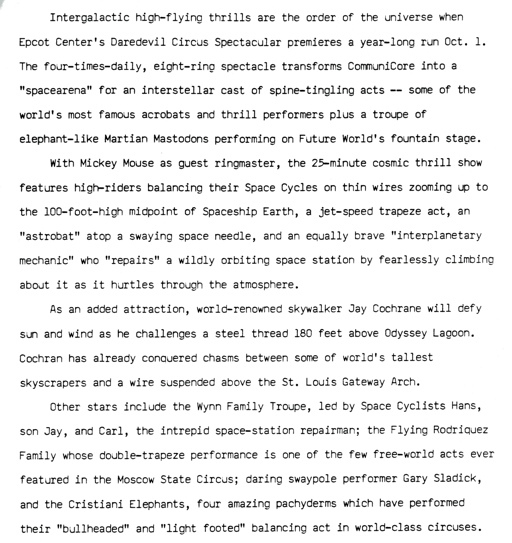 I found the most intriguing event the celebration promised to be “Epcot Center’s Daredevil Circus Spectacular“. 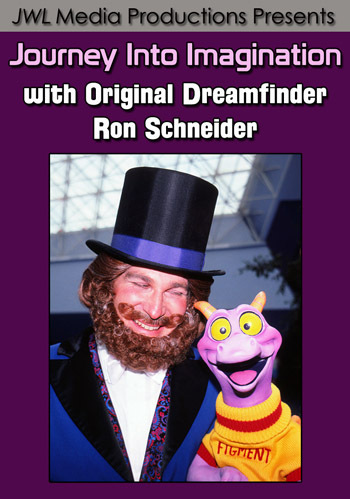 To fully understand why it captured my imagination, please read the excerpt from the press release below. 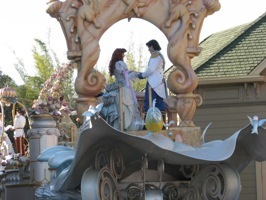 It sounded unbelievable to me that this was actually going to happen! 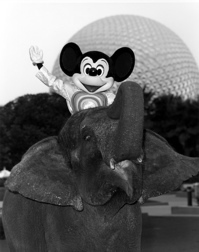 It is still incredible that this actually happened and I am glad to have found the photos and information to remember this amazing part of Epcot Center history! 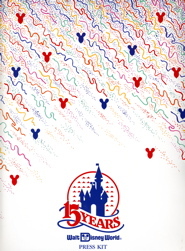 In keeping with the vintage Epcot Center mood of today’s update, I present my Epcot Center 25th Anniversary Collection to relive these wonderful memories or experience them for the first time! 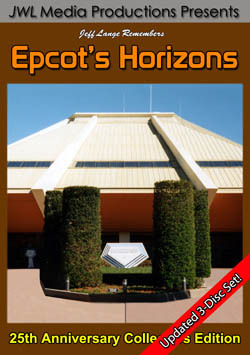 Click HERE for more information or to browse all of my Epcot Center DVDs including the 25th Anniversary series! 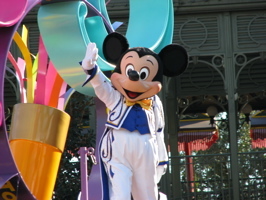 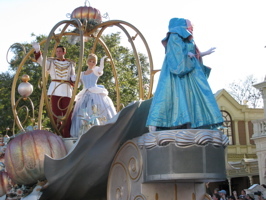 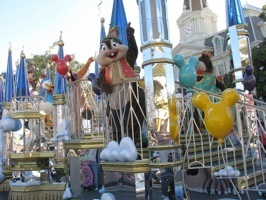 Site partner MouseSteps (which is still experiencing site update problems) took another video of the new Magic Kingdom parade “Celebrate A Dream Come True”, this time shot from a different location. 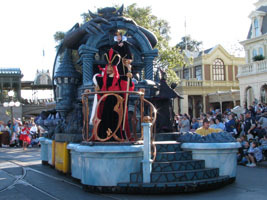 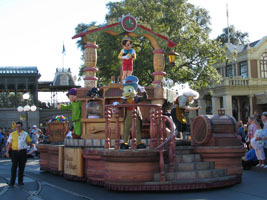 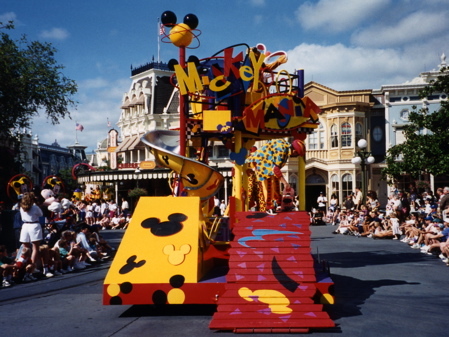 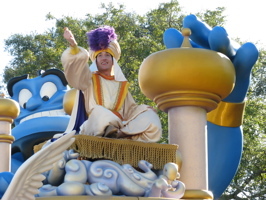 I have enjoyed reliving these great parades again and can’t stop humming the “Mickey Mania” and “It’s Time to Remember the Magic” theme music! 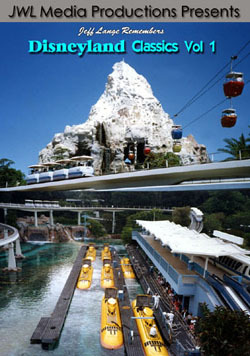 I hope to have this finished by the end of next week. 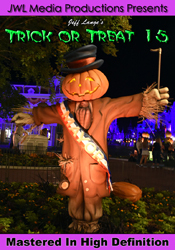 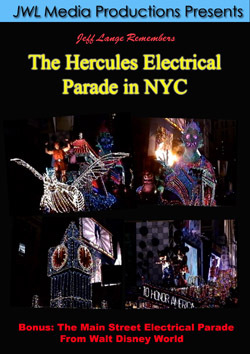 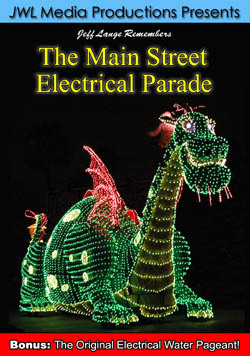 In keeping with the parade theme of this update, I present the following titles featuring another favorite of mine “The Main Street Electrical Parade“! 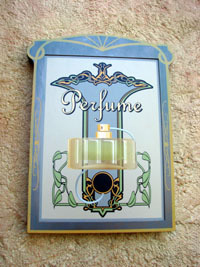 Please click HERE for more information or to purchase this item. 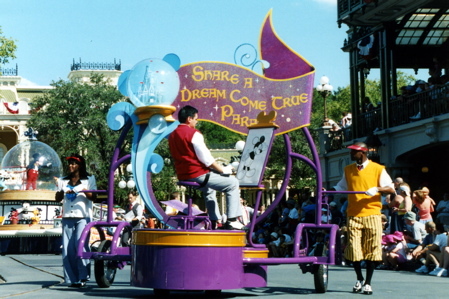 The Main Street Electrical Parade recorded in 1999 during it’s short return engagement at The Magic Kingdom in Walt Disney World. 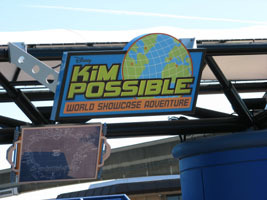 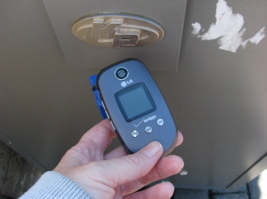 The new Kim Possible World Showcase Adventure has recently soft opened at Epcot and as usual, site partner MouseSteps was there – with photos and video soon to come! 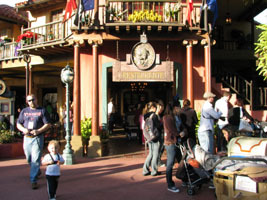 One of the recruitment centers (below left) is where you get a fastpass and instructions on where to begin your adventure. 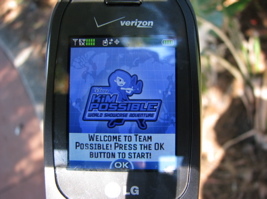 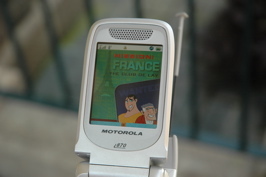 The Kimmunicator you are given to play the game (below right). 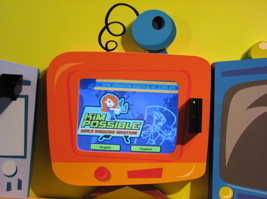 I had the chance to play this when Kim Possible was testing in September of 2006 and really enjoyed it. 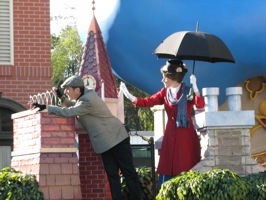 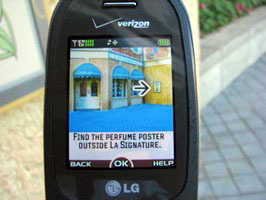 From what I have been told, it is now broken into 7 shorter adventures around World Showcase. 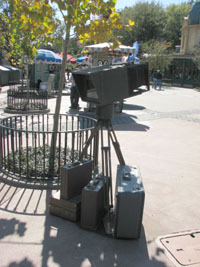 Below are some of the props used in the game that are similar to the props that were used during that original test. 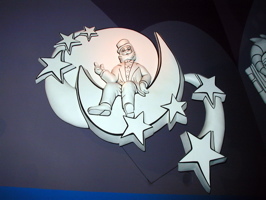 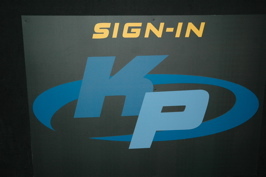 Please check back later this week for more photos and video of this great new addition to Epcot! 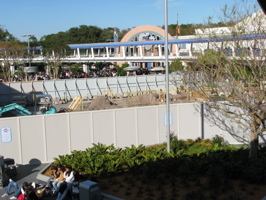 The Magic Kingdom is the scene for much construction activity this week. 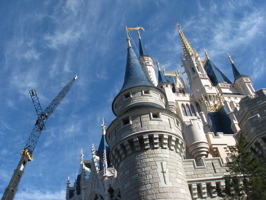 Below a crane is seen as the removal of the castle Dreamlights has begun. 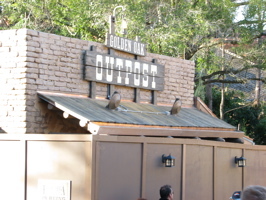 The new fast service location Golden Oak Outpost looks almost ready to open. 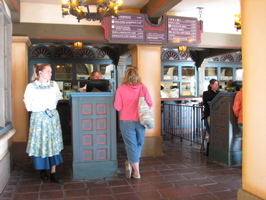 Because Pecos Bill’s Cafe is down for rehab, the rarely used El Pirata Y el Perico Restaurante has opened – but is not selling the usual taco’s and Mexican food, but burgers, chicken sandwiches and wraps. 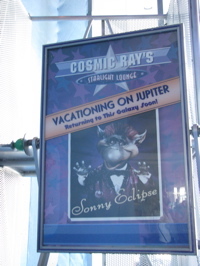 Moving on to Tomorrowland, we see that Sonny Eclipse is vacationing on Jupiter (and also enjoying a brief rehab). 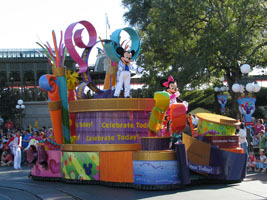 Finally more progress is being made on the new “Stitch’s Supersonic Celebration” stage. 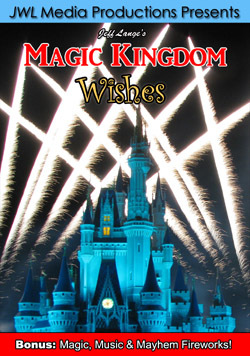 Below is video of construction at the Magic Kingdom for Stitch’s Supersonic Celebration at Walt Disney World. 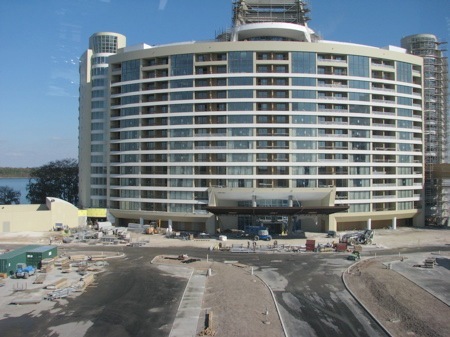 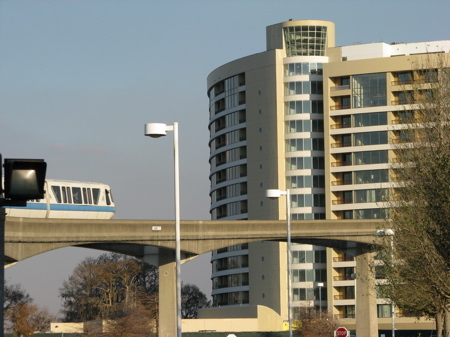 This was shot today from the Tomorrowland Transit Authority attraction. 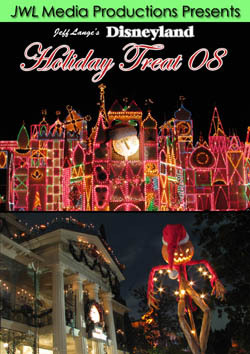 For more great photos, please click HERE.